The 505 Prosite Protractor family has been expanded to include the new 505P-7. Constructed from durable engineered plastic and economically priced, the 505P-7 eliminates calculations, reduces errors and provides greater accuracy for miter cuts. 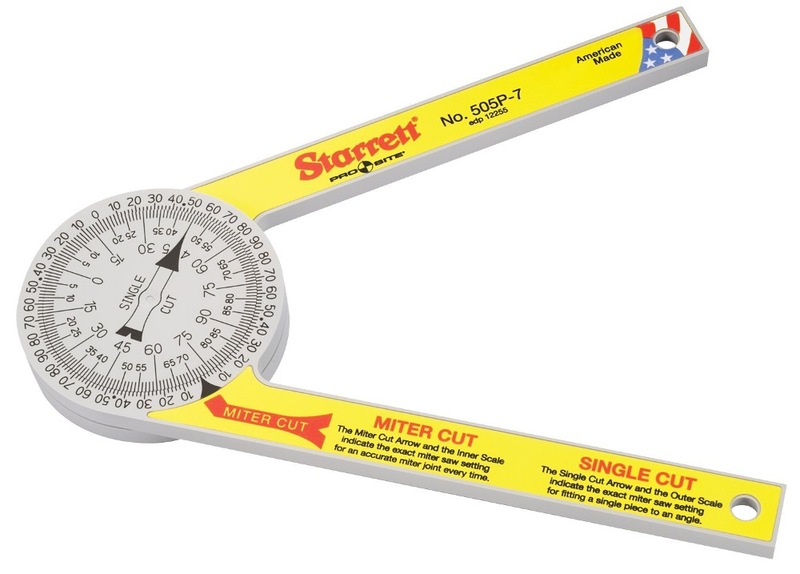 Simply set your saw to the angle that you read on the protractor. Upside down or backwards, the reading is always correct. The easy-to-use tool has two scales. The Miter Cut Arrow and Inner Scale indicate the exact miter saw setting for an accurate miter joint every time. The Single Cut Arrow and outer scale indicate the exact miter saw setting for fitting a single piece to an angle. The ProSite Protractor saves time and reduces waste. 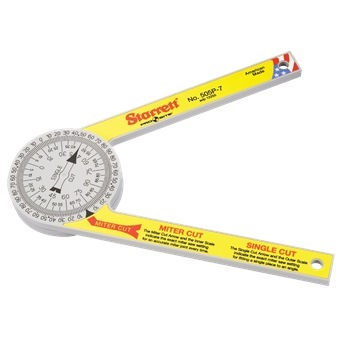 Its ideal for carpenters, plumbers, and all building trades that require the measuring and transferring of angles. It's also invaluable for home use and do-it-yourselfers. It is the perfect and essential companion for every miter saw user.